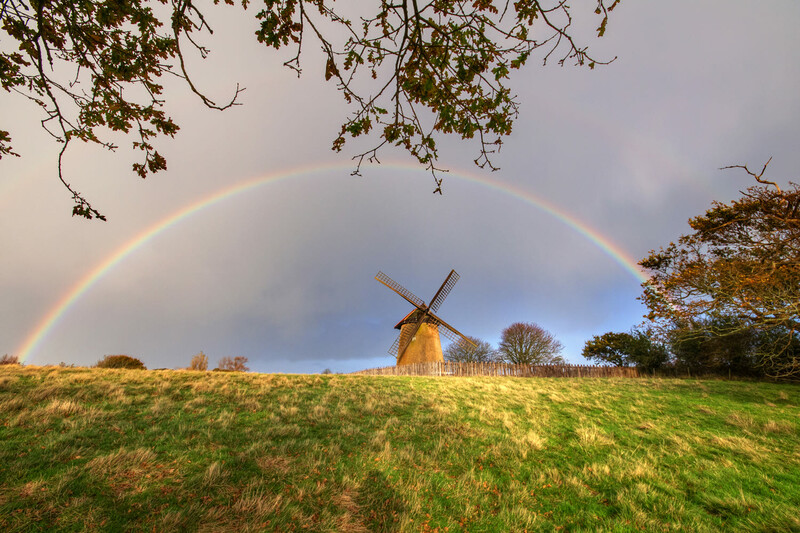 You'll have a real time travelling experience when you visit Bembridge Windmill, the only surviving windmill on the Isle of Wight. Fully restored after being given to the National Trust in 1961, it's so pretty it even inspired Turner to paint a watercolour when he visited the island in 1795. When you walk into the windmill it feels like the miller has just popped out to stretch his legs. He’s even left his smock hanging up in the room. Built around 1700, the walls are thick and strong – over a metre thick at the base and tapering upwards for 11 metres. The mill still has most of its original machinery intact and you can climb up the steep stairs to the top and follow the milling process back down its four floors. The views from the little window at the top are stunning. See the Great Brake Wheel in the top room that was turned by the sails outside - this enormous cog with an iron band around it operated the mill. Next floor down is the Stone Floor, where the millstones ground the grain into flour or meal. Each stone weighs half a ton and the way that the floor slopes inwards towards the central Main Shaft will make you feel quite uneasy! One more floor down is the Machine Floor with the enormous Main Shaft in the centre of the room, turned by the Great Spur Wheel by the ceiling. Look up and you can see right to the top of the windmill. Last used just before WWI, and then turned into a barn. During WWII the tower was used for observation by ‘Dad’s Army’ the Home Guard, but the only damage it had during the war was when one pair of sails was struck by lightning and lost. 30 minutes before closing time. However it will close at dusk if this is earlier. Bembridge Windmill was built in the early 1700s when Bembridge was almost an island in its own right, cut off from the rest of the Isle of Wight. When the artist JMW Turner visited in 1795 he began a watercolour of the windmill showing the sea lapping at the bottom of the hill on which the mill stands. A copy of this unfinished painting can be seen in the windmill kiosk. 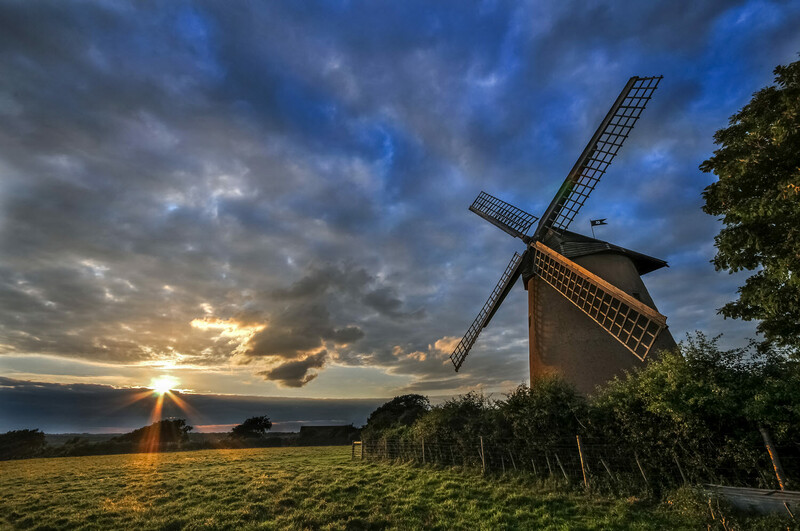 For two centuries the windmill provided a service for the local community and work for generations of millers. Little is known about the millers although in January 1811 the Hampshire Chronicle reported that 'Mr Cook, miller of Bembridge [was] found frozen to death by his own mill'. Visit the windmill early in the year and you may still find the wind whistling through the mill's windows but it's hard to think that Mr Cook died solely from the cold. In the 1880s Bembridge's isolation ended when Brading Haven was drained. The arrival of the railway bringing cheap flour meant that from 1897 onwards only cattle feed was produced. Poignantly the mill last operated in 1913. By the following harvest the men had gone off to fight in the Great War and the mill never reopened. Repairs were made in the 1930s, and then in the late 1950s local people paid for further restoration work before giving the mill to the National Trust in 1961. 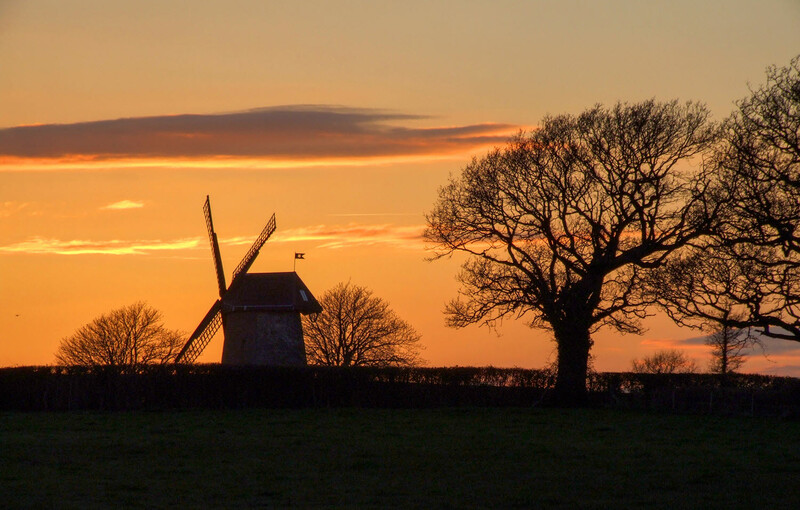 As the only surviving windmill on the island, Bembridge Windmill is an important part of the island's heritage. Attraction admission tickets can only be purchased in conjunction with a booking for a vehicle or foot passenger(s) on Red Funnel´s Southampton/East Cowes route. Attraction tickets are non-refundable and must be used 7 days either side of the date entered. Additional charges (payable on admission) may apply to access special events and certain rides or activities. Standard terms and conditions of entry apply; please refer to the attraction for details. The discounted ferry crossings are only available whilst the individual attraction is open during 2019. 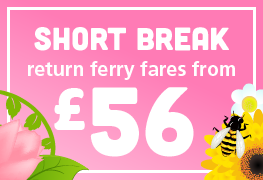 15% ferry discount available when booked alongside Bembridge Windmill tickets. 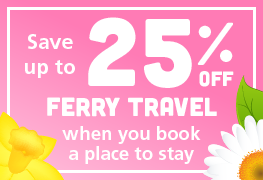 To obtain the ferry discount a minimum of either a family ticket or 2 x adults must be purchased. Additional tickets may be added to your shopping basket. 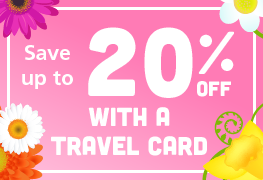 Valid for return vehicle travel from Southampton. Valid for up to 7 people in a car or small van up to 5.5m length/2m height. Subject to availability. New bookings only. Not available in conjunction with any other offer or discount. Please check opening dates and times before booking. Vehicle customers: simply present your "Confirmation/eTicket" on arrival at check-in and your attraction ticket(s) will be printed there and then. Foot passengers: please go to the ticket office on arrival and your attraction ticket(s) will be printed on presentation of your "Confirmation/eTicket"
Just hand your credit card size ticket(s) to the attraction to gain entry. 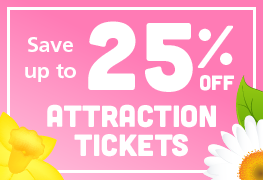 Tickets are valid for 7 days either side of the date you entered when adding the attraction to your basket.